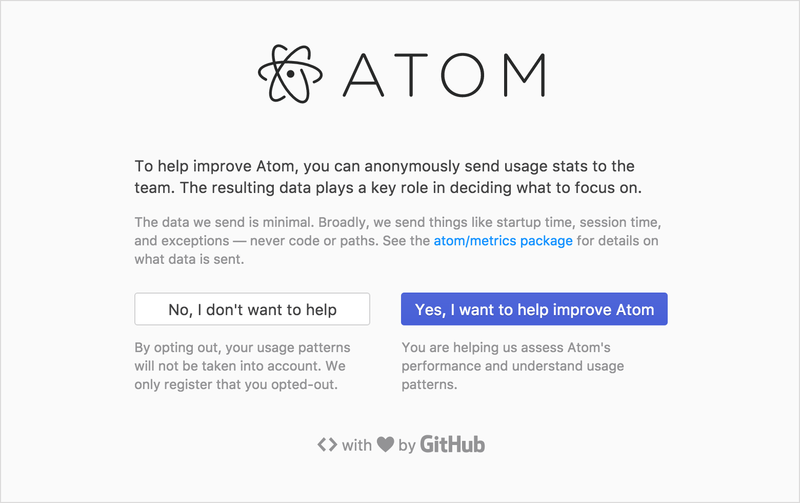 Atom 1.11 features performance and stability improvements and, in particular, we’re excited that Atom now asks for permission before sending any telemetry data. An option to show a custom title bar on macOS got added by @brumm. It will adapt to the theme colors and be less jarring when a dark theme is used. To try it out, go to Settings > Core and enable “Use Custom Title Bar”.